Next on the list is the red-edged Dracaena, or dracaena marginata. Dr. Wolverton's book, he calls it the "Dragon Tree". This is a lovely plant with narrow green leaves that have a deep green color and a red edge. 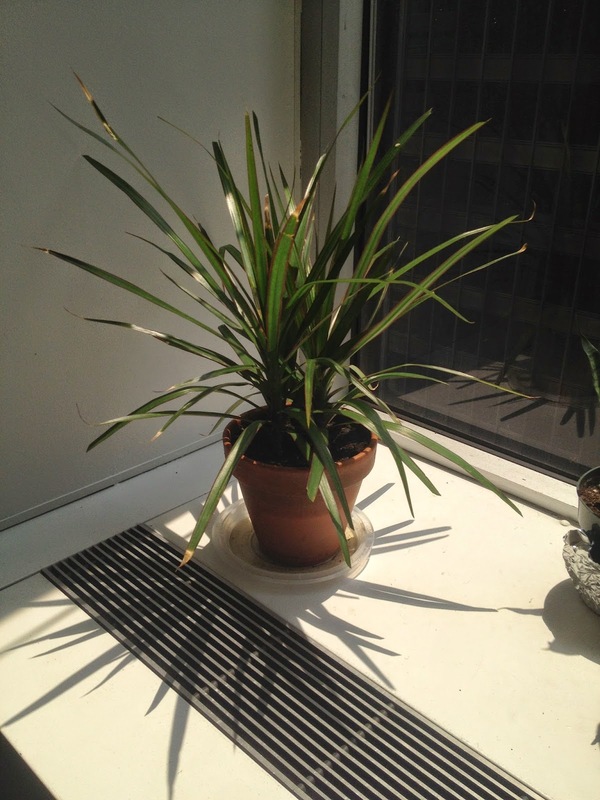 Like other plants in the Dracaena family, it hails from Madagascar and other parts of tropical Africa. It's a hardy plant and supposedly one of the easiest to grow in the Dracaena family (although I find the Warneckii super-easy to grow too). I purchased this one from Kmart, and like most plants I buy at Kmart, it was cheap and clearly in need of some TLC; there were fungus gnats in the soil, the tips of the leaves were drying out, and the color in the leaves were light and in some cases spotty. Still, like Charlie Brown and his tree, I figured, "Maybe all it needs is a little love". I transplanted it into a larger pot, loosened the root ball, planted it in some good Miracle Gro potting soil, and gave it a good watering, but soon practically all the leaves had brown tips. Dr. Wolverton gave some advice about the Warneckii that I believe I need to follow here with the Marginata: "trim dead tips with scissors, taking care to retain their natural shape". I took his advice, and also his advice to make sure the soil was always moist but not soggy. 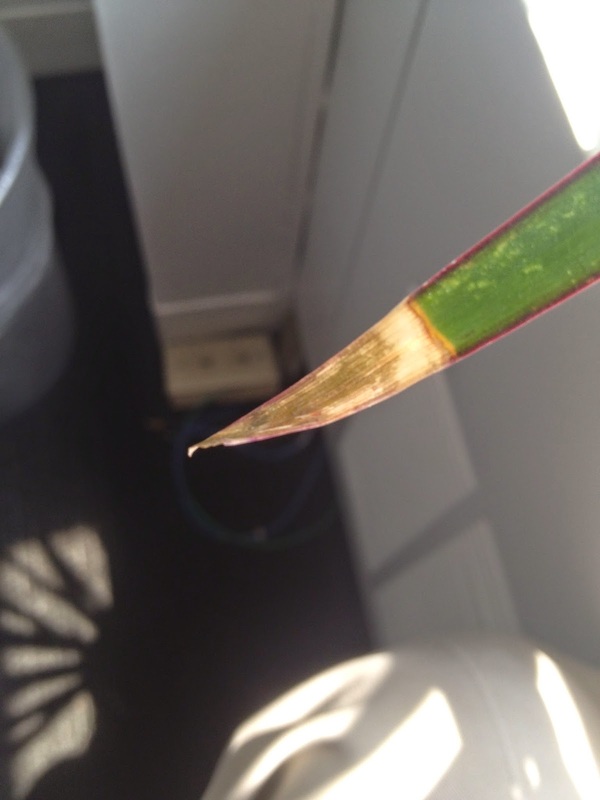 Hopefully that should help the entire plant, from root to tips, take up the moisture properly. As for air cleaning, Dr. Wolverton rates this a 6/10 for chemical removal and a 7/10 for transpiration rate. He says it's among the best plants for removing xylene and formaldehyde. Temperature: Keep between 60-75 degrees Fahrenheit. Sunlight: It likes partial shade. As a popular houseplant, you should have no problem finding one in a local garden store or Home Depot, or if you prefer there are plenty of Dracena Marginata plants for sale on eBay .